Do our PADI Discover Scuba Diving Course! 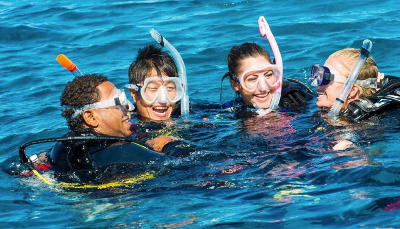 The PADI Discover Scuba Diving experience is for everyone who wants to start learning to dive today! You will be in the care of a PADI professional and learn basic scuba skills so you can have fun while experiencing the exciting wonders of the underwater world. • The optional Open water dive is ‘a must’ for those who want to get the feeling of scuba diving in the big blue sea! • A fun filled day with adventure and excitement! • The Pool session only - half a day from R995.00. • The Pool session and sea dive - 1 full day from R1295.00.